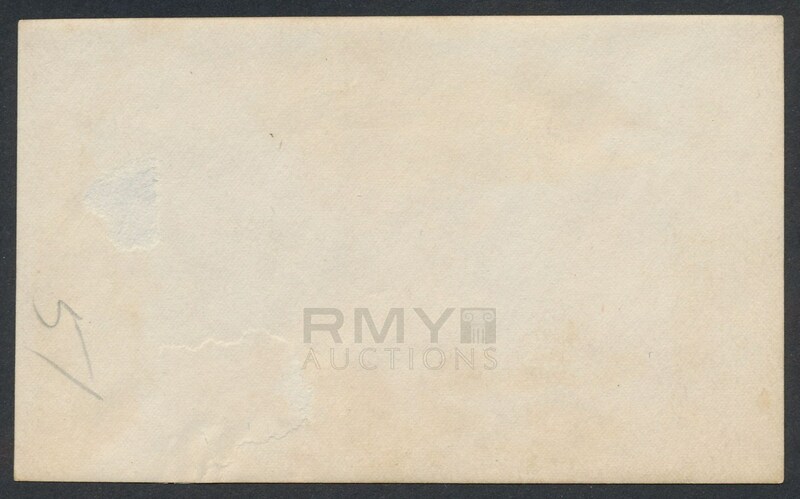 Lot # 26: 1920 Babe Ruth, "Yankees Slugger Takes Batting Practice" Unique New Discovery! 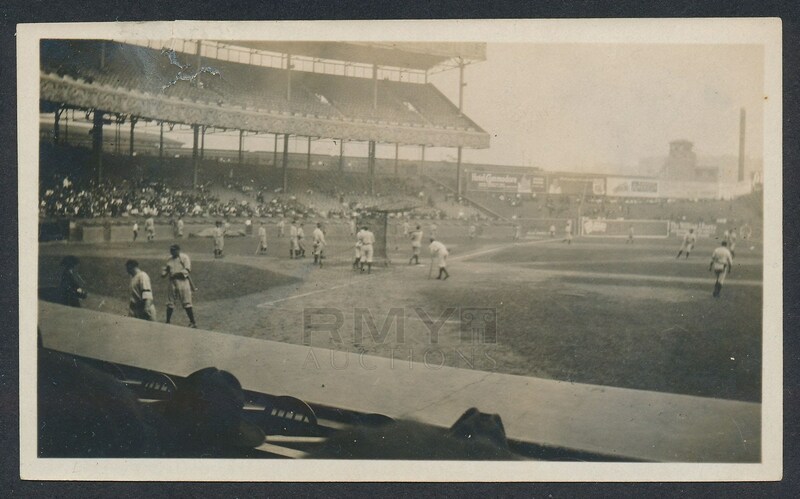 1920 Photograph of members of the New York Yankees at the Polo Grounds taking batting practice before their upcoming game. Prominently visible with bat under his arm and heading to the dugout is first year Yankee Babe Ruth! Players are wearing their black arm-bands for the death of Ray Chapman placing this firmly at the end of the 1920 season and this is a unique snapshot that presents beautifully and crystal clear! Despite some wear on the upper left corner, the image displays amazing. Few images of Ruth are offered annually from 1920 with new discoveries being almost non-existant!